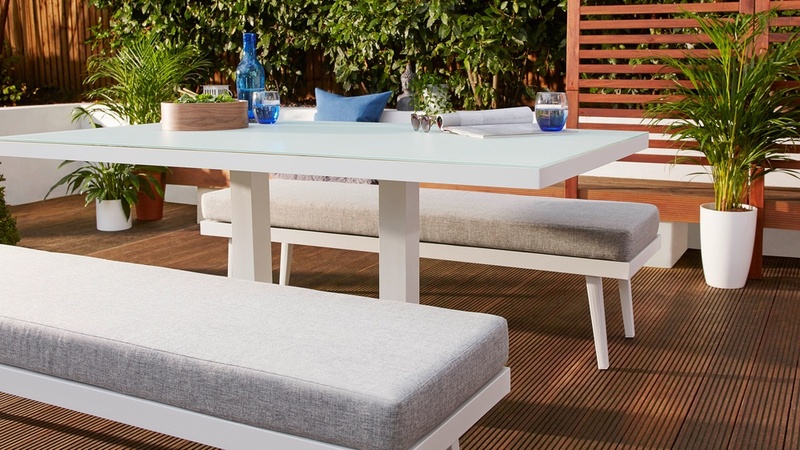 With the Palermo White 6 Seater Pedestal Outdoor Dining Table in your garden, there'll be plenty of space for your guests to dine in style at a table that is as practical as it is good looking. 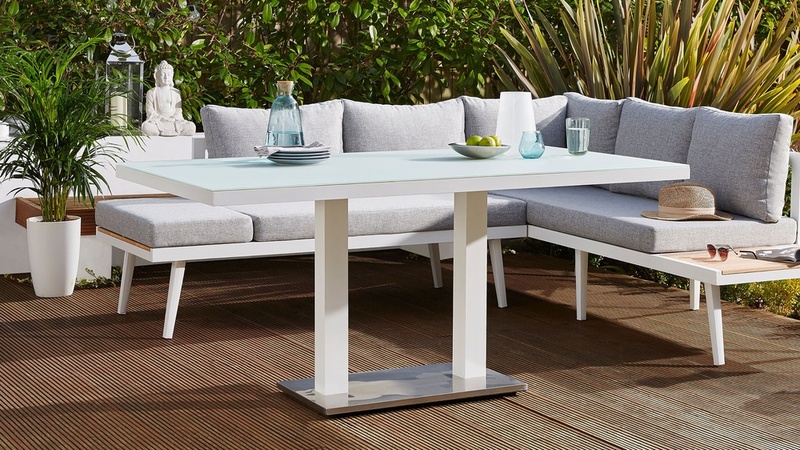 The pedestal base allows for ease of movement while the durable frosted glass top and powder coated aluminium base make the table fit for outdoor use. Style with colourful chairs or a coordinating dining bench to complete the look! 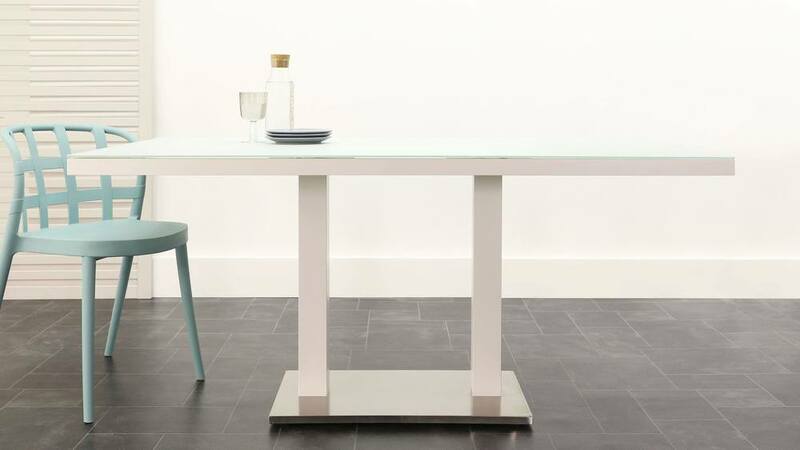 The pedestal base of the Palermo table is such a versatile feature as you're not restricted by legs at the table corners. 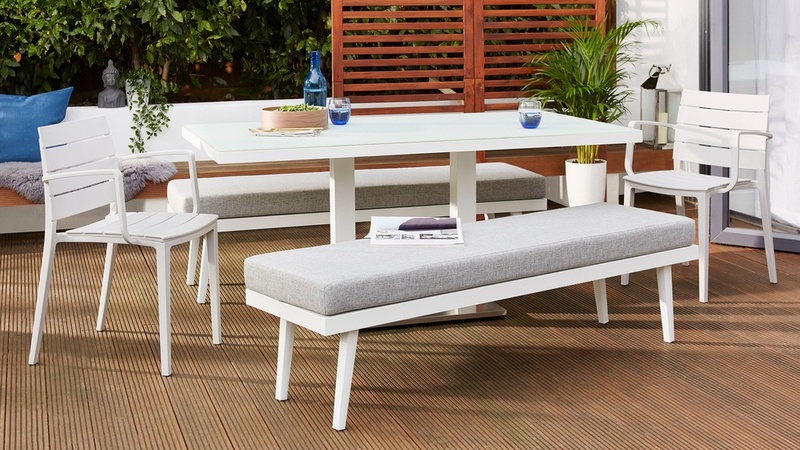 Designed to seat between 6 and 8 people, this garden table works a treat paired alongside a corner or outdoor bench, instantly creating a staple garden look that's made for lounging. 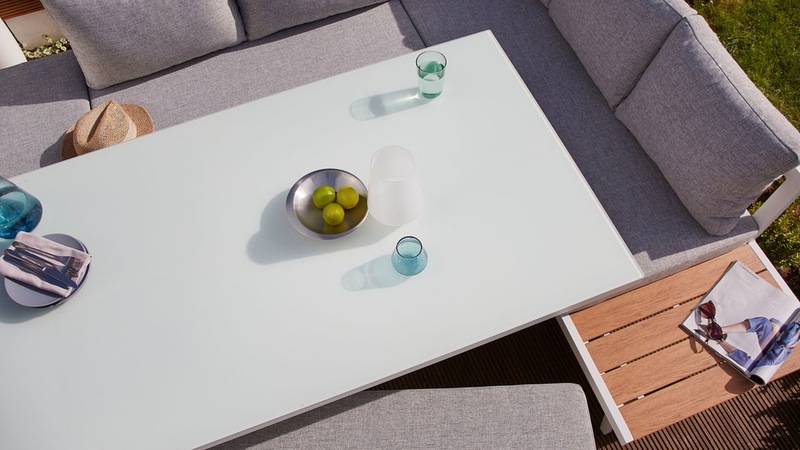 The frame of the Palermo table is made from aluminium with a sleek powder coated finish. 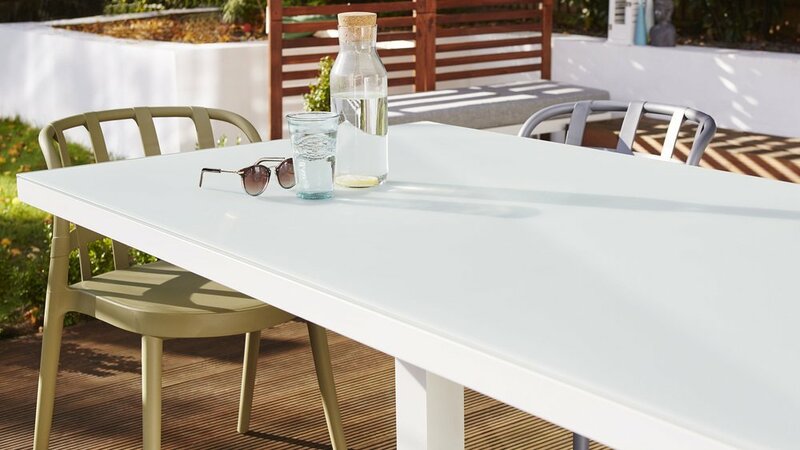 Aluminium itself is inherently anti-rust while the powder coated frame creates an effortlessly modern, white matt finish. This makes the table very low maintained so you can spend less time looking after your furniture and more time relaxing. 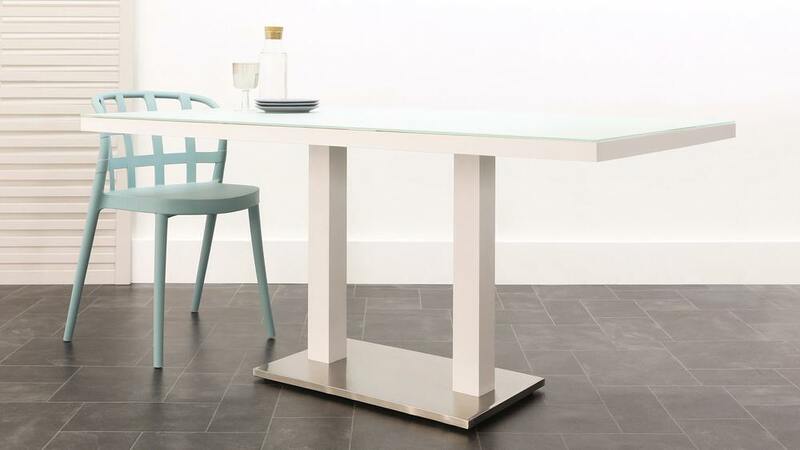 The aluminium tube frame keeps the Palermo table lightweight and therefore easy to move and store. 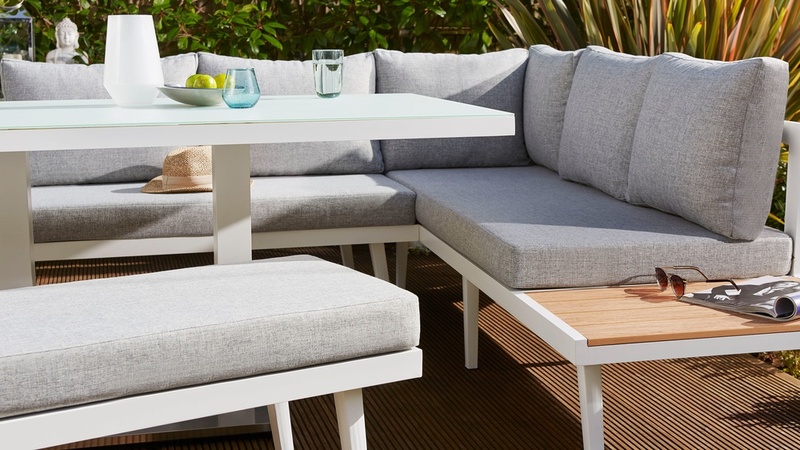 This clever feature will allow you to quickly rework your garden space and then store the table away during the winter months. We've all experienced sitting at a table with that annoying wobble. Thankfully, this won't be an issue with the Palermo! That's because the table actually has adjustable floor protectors. This means you can adjust the protectors to accommodate an uneven floor, which is often the case outdoors. 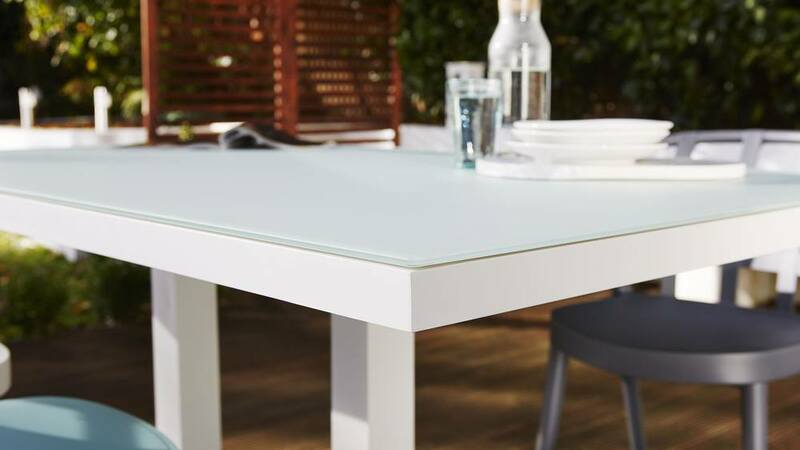 The 6mm thick white tempered glass top is fixed to the frame with anti-slip suction pads. Etched glass has a hazy and soft appearance, helping to keep your garden looking crisp, bright and fresh. 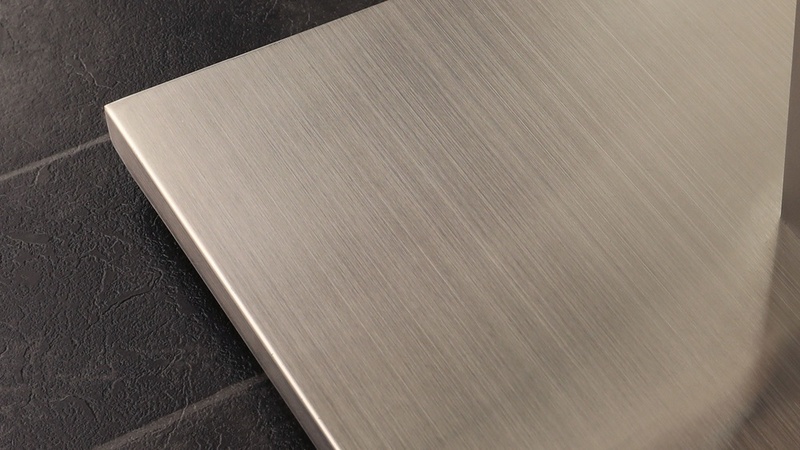 A frosted glass surface isn't overly reflective which means you won't get a glaring reflection in the sun. 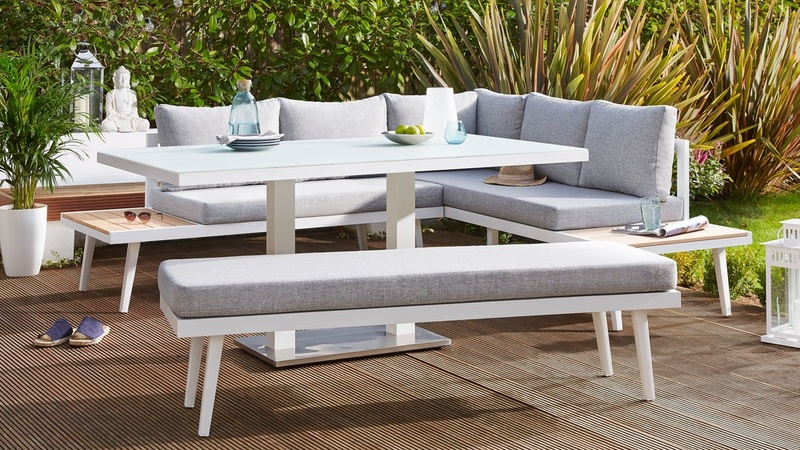 To create a garden setting with expert style credentials, we suggest pairing the Palermo 6 Seater table with the coordinating Palermo white bench, available as a left or right-hand corner bench. 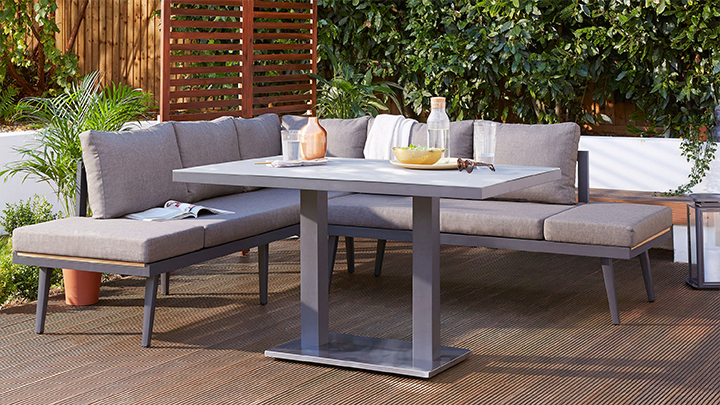 For our garden range, we thought: why not continue the comfort and style from inside the home to an outside space? With that in mind, we’ve curated a collection of garden pieces that have exterior quality but with interior design credentials. 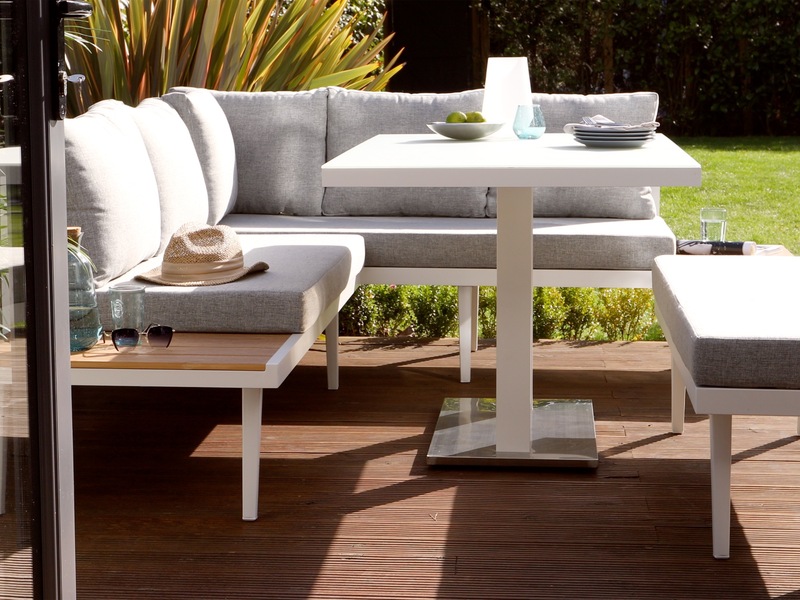 This means that although the Palermo white table looks good enough to be styled inside, its materials and finishes mean that its fit for outdoor use.